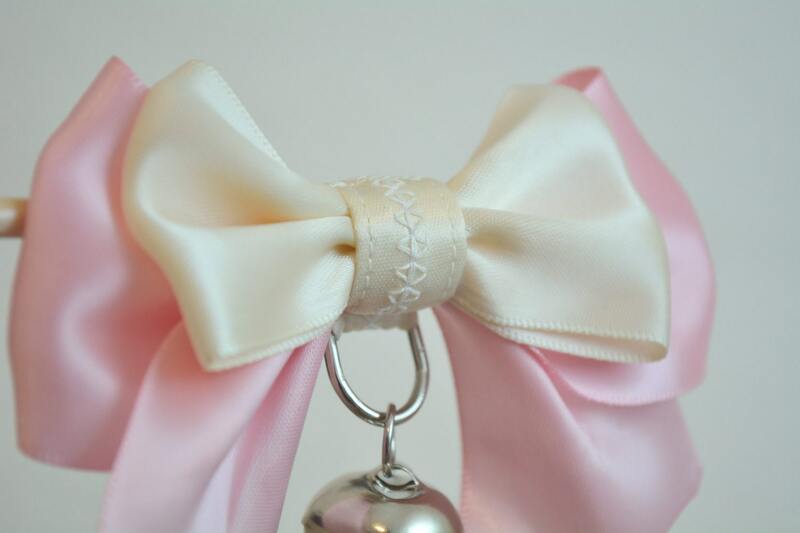 Luxury satin bow tie for pet collars. 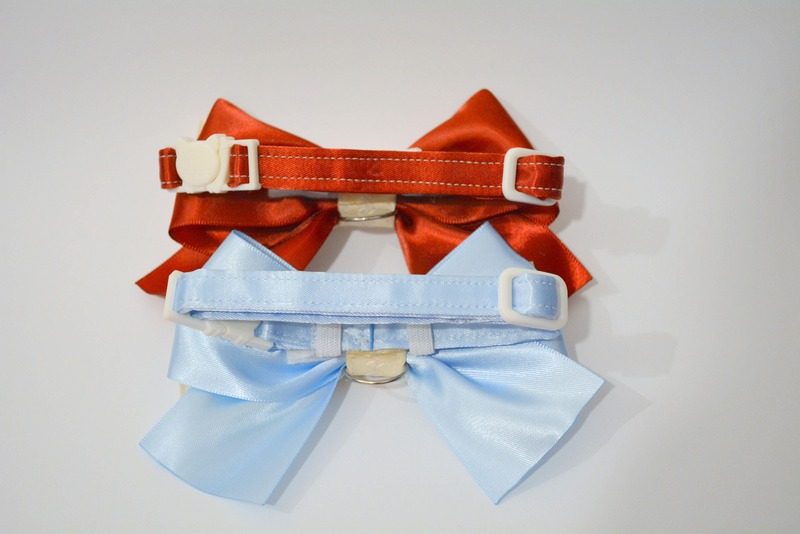 The bow has an elastic band on the back and therefore can be put on your existing collar. It will make your cat look very festive on a special day. 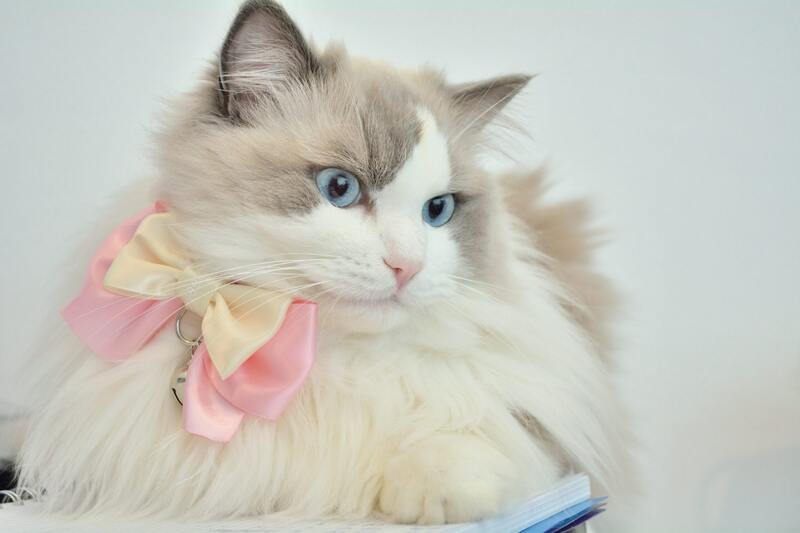 - The bow tie is made from double-sided satin ribbon. - Two colour combinations: pink+ivory, blue+ivory, green+ivory, wine-red+ivory. (box in photo is not included). Double face satin with a distinctive glossy, almost pearl like finish and a silky surface is what that makes this bow tie so irresistible! Unlike cotton bow ties they do not attract pet fur and are easy to look after. 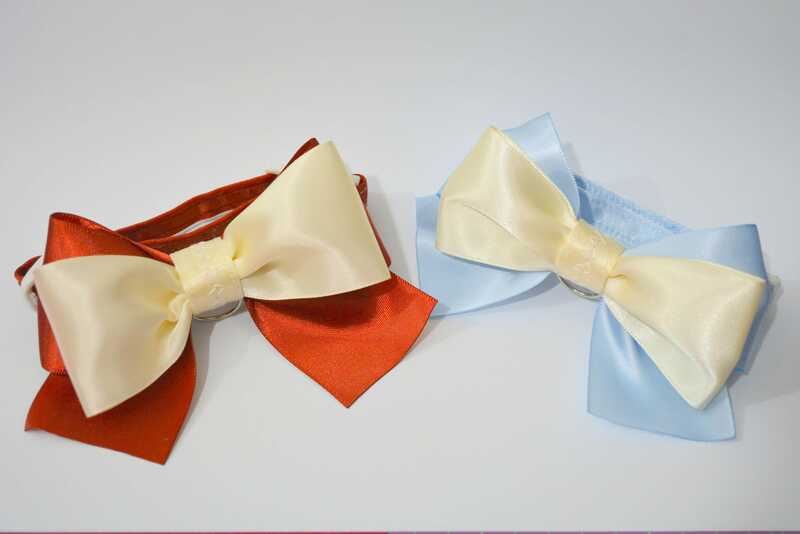 These satin bow ties are hand washable and can be ironed, however, this should be done with great care. Très bel article, je recommande! 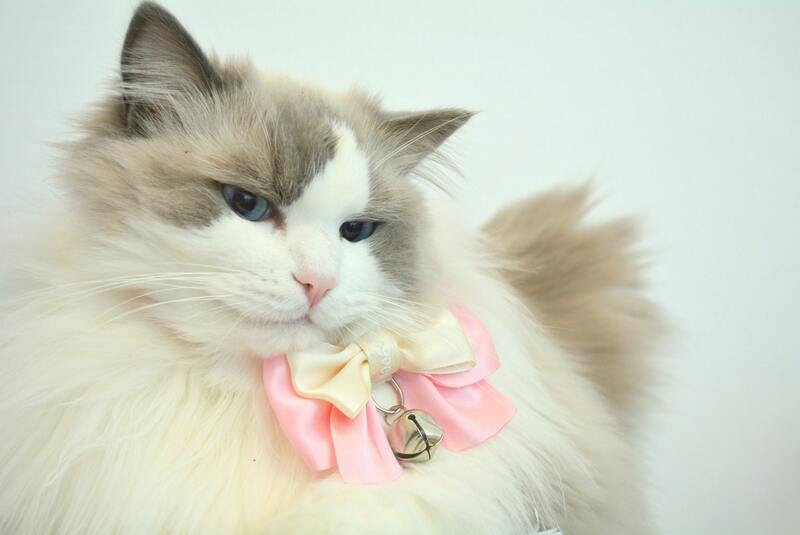 Such a cute collar, fits perfect, and the material is comfortable! Kat is prompt to respond to any messages and easy to get in touch with, shipping was also very fast. 🐾Lovely cat and touch of a smile for happie cat owner. Soothing colors that matches her personality. Thank u kat & Catsforcrafts for the lovely packaging birthday gift.